This series of textbooks reflects the breadth of modern research in inorganic chemistry and fulfils the need for advanced texts. The series will cover the whole range of inorganic and physical chemistry, solid state chemistry, coordination chemistry, organometallic chemistry, main group chemistry and bioinorganic chemistry. Stereochemistry of Coordination Compounds is essential reading for undergraduates, post–graduate students and lecturers specializing in coordination chemistry in inorganic and bioinorganic chemistry. The cover shows a ′random pattern′ stereogram of an octahedron, designed by Oliver Fuhrer, Lupsingen, Switzerland. In the text, extensive use is made of the ability of computers to display 3D pairs of molecules. The grey scale figure that was used to create the random pattern stereogram is shown below. Survey of Methods for the Elucidation of the Stereochemistry of Coordination Compounds. Theoretical Bases for the Coordination Geometries of Metal Ions. 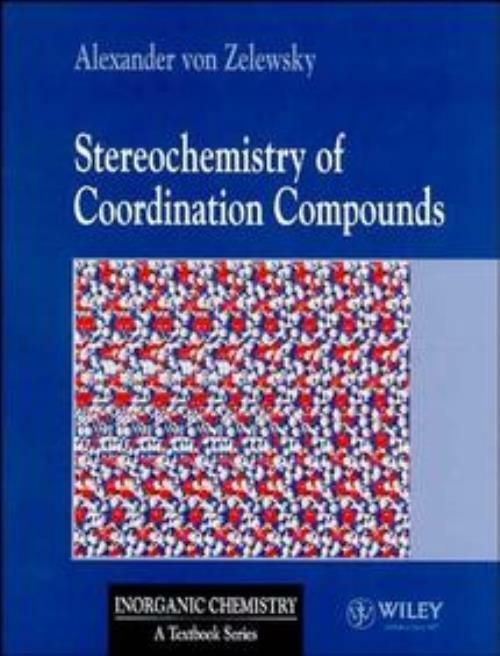 General Concepts in Topographic Stereochemistry of Coordination Compounds. Topographical Stereochemistry of Mononuclear Coordination Units. Topographical Stereochemistry of Polynuclear Coordination Units. The Stereochemical Course of Reactions of Metal Complexes.